Posted on February 1, 2019 at 5:42 pm. According to a law passed in November last year, all clubs and hotels in the Australian Capital Territory had until January 31 to turn in their poker machines for cash and discounts. Now that deadline has come and gone, the ACT government is set to embark on a campaign of forceful seizures. Legislators and clubs have both decided not to comment on the scale of voluntary returns. A spokesperson from the Justice and Community Safety Directorate said until February 8, when the contracts are signed, any comment about the status of the returns would be “premature”. “The directorate continues to work with gaming machine licensees to access the voluntary surrender package,” she said. In an interview with the Canberra Times, some clubs confirmed putting in a proposal and waiting for approval of their submissions before making comments. One of those that confirmed submitting all paperwork for the voluntary submission is the Southern Cross Club, which currently has 594 pokies games across four venues. 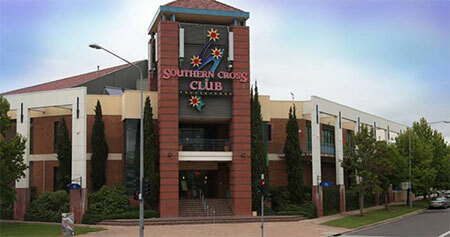 The acting chief executive of Southern Cross Club, Wesley Willcott, said the group has found ways to diversify its revenue in recent years. “We’ve been investing in food and beverage, refreshing our venues and opened new outlets like Woden Central which opened at the Woden club in September,” he said. “We’ve also been investing in the health and wellbeing space as evidence by Stellar Canberra. Chief executive at the Tradies Club, Rob Docker, also confirmed submitting a proposal but was tight-lipped about the details. “We are strongly supportive of the government’s initiative to reduce poker machines, there’ve been too many in this city for a long time,” he said. Liberals gaming spokesman Mark Parton was pessimistic about the arrangement, saying the clubs were getting a “raw deal”. “Many of them are in backs to the wall, survival mode, doing whatever they can to protect themselves and their members from a vindictive Green-Labor government,” he said.